Relying on Nick Schade’s book The Strip-Built Sea Kayak, George Nourse built this Expedition single kayak from a kit by Chesapeake Light Craft. The kayak is a cedar strip-planked hull, covered with a layer of fiberglass cloth inside and out. George gave her six coats of varnish. 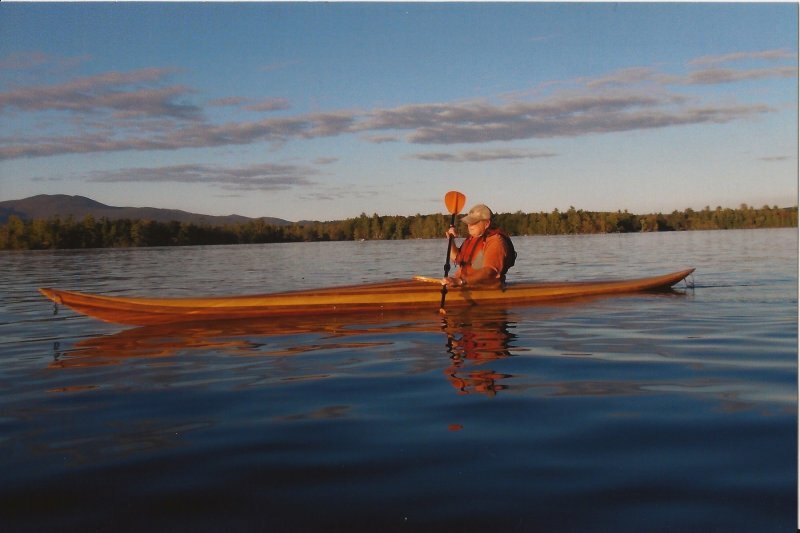 He paddles primarily on Lake Winnipesaukee in New Hampshire. His wife, Kathy Nourse, took this photograph.